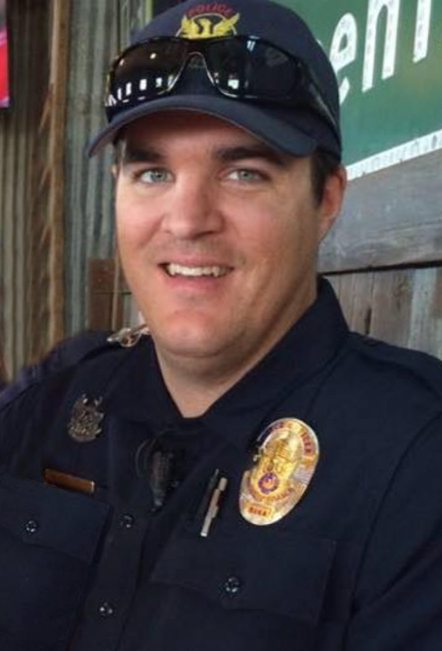 Phoenix Police Officer David Glasser was shot and critically injured in the line of duty on May 18, 2016 and succumbed to his injuries on the morning of May 19, 2016. On Tuesday, May 24, 2016, PLEA Hosted a benefit cookout at the PLEA Garage Grill located at 1102 West Adams Street to accommodate personnel from all three shifts as well as members of the public. The outpouring of support from public safety agencies within the Valley, as well as out of county was amazing, as was support from the community. PLEA received numerous donations of items for the cookout including food and drinks as well as assistance from people who prepared and cooked food, removed trash, and did whatever else was necessary to run this monumental event, which was a huge success. Keep in mind that while we are still totaling proceeds from the event, including what was collected yesterday, 100% of all proceeds will go directly to the Glasser family through PLEA Charities. You may donate to PLEA Charities online through PayPal or by sending a check in the mail payable to PLEA Charities. PLEA and the Phoenix Police Department appreciate the outpouring of community support during this very difficult time. Please keep the Glasser family in your thoughts and prayers.